Osage City Public Library – Page 16 – Explore Your Library, Expand Your Mind. We will be playing BINGO on Friday, June 28 from 1:30-2:30. Everyone will come away a winner. All ages are welcome to join us. 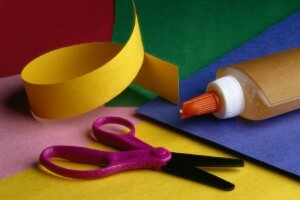 Join us tomorrow, Friday, June 7 for Make it and Take it Crafts.Â This free program begins atÂ 1:30 and will end at 2:30. Sno-Cones will be served after this free program. Join us for BINGO on Friday, May 31.Â We will start at 1:30 and play until 2:30.Â Everyone will come away a winner.Â All ages are welcome to come and play. 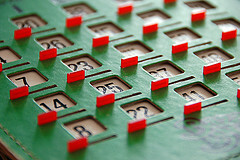 â€œBingo Cardâ€ by Flickr user bitpicture under a Creative Commons license. Summer Reading is for all ages. Come into the library to sign up as soon as possible and begin your reading journey to qualify for great prizes, which include gift cards to local businesses.Â For additional information, please stop in or call 785-528-3727. The Friends of the Library are selling gift cards/certificates from numerous businesses just in time for gifts for Graduation, Father’s and Mother’s Days and weddings.Â Osage ACE Hardware has been added to the list of Osage City Businesses. ClickÂ onÂ April 2013 Gift Card Order FormÂ to see all the gift cards available to purchase.Â Deadline to turn in order form with payment is Monday 29, 2013.Â Gift Cards should arrive by May 10, 2013. If USD 420 is closed, the library will be too. the library will be closed as well. and will be held on February 28.